• Civil Aviation announced airport’s closing for June 30, due to unsafe conditions in its operations. • Businessmen recognize a loss of competitiveness of the destination before eventual absence of local airport. After the recent announcement made by the Directorate General of Civil Aviation on the closure of the airport in Tamarindo, Grupo Diriá, owner of the property, announced its interest in continuing the aviation operations at the site and, therefore, has said to being considering ​​alternatives in order to make repairs that would enable it to operate again. Days ago, the Directorate General of Civil Aviation (DGCA) reported that the locking order was generated due to “unsafe operational conditions” and that it would be effective from next June 30, 2014 on, as reported in the official communication number DGAC-AGA-OF-415-2014, dated May 16 (of which Tamarindo News has a copy). Through a release, Grupo Diriá recognized that “Tamarindo Diria Airport was closed as a result of a report issued by the Civil Aviation Authority, setting forth that there were risks in its operation.” Grupo Diriá denied rumors on its disinterest in continuing the operation of the airport that worried other local tourism businesses. “Grupo Diriá, with the responsibility that characterizes it, asked Directorate General of Civil Aviation to immediately close the airport temporarily, in order to assess the situation and the ways to be taken as to the repairs required,” said via statement. “We are currently evaluating the various alternative solutions with our advisers and builders. It is important to be absolutely clear that Grupo Diriá will continue the aviation operations, once everything is resolved,” says the communication. The document indicates that Grupo Diriá is expecting to announce the date of reopening of the airport anytime soon. In addition, DGAC’s official communication notes that “the date of closure is subject to proceedings being taken by the Legal Advisers as to the application the airfield´s owner has submitted to CETAC” (Civil Aviation Technical Council). Days ago, DGAC publicly stated to have received information about the poor condition of the landing strip; as a result, inspections were made and the owner was recommended to adopt several measures. Tamarindo News attended a meeting held with local tourism businessmen, airlines that operate flights to and from Tamarindo, investors, and representatives of Grupo Diriá. The entrepreneurs expressed their concern over the loss of competitiveness resulting from the closure of this important aerodrome and how would it affect Tamarindo as a tourist destination. Mauricio Estrada Gómez, from Hacienda Pinilla, said that not having an airport would take away attractiveness and competitiveness from Tamarindo. 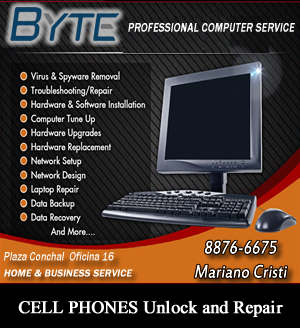 “Many tourists come to Costa Rica with their time limited. If they did not have the local air transport, they probably would not have a chance to visit Guanacaste. 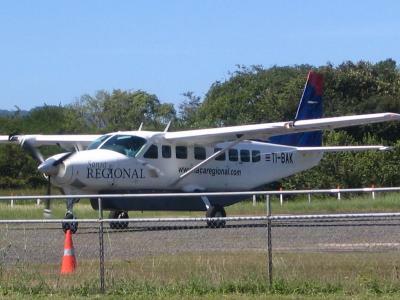 For many years, Tamarindo airport has been the main point of connection between the Central Valley and the coast near Tamarindo. Therefore, the closure of Tamarindo airport would affect tourism businesses in the region,” he said. Estrada recalled that, before the housing crisis of 2008, the air services of local companies operated daily flights between San José and Tamarindo, but, due to the crisis, the number of passengers and flights declined. “In the future, we must develop air services in the area; in order to do so, it is necessary to improve the airport’s infrastructure. For example, the access road is in very bad conditions; waiting areas are quite uncomfortable, and the landing strip is short for the larger planes tourism requires,” he added. In SANSA’s website, this airline continues to advertise “daily direct flights to Tamarindo;” however, when trying to book for any date in June, it is indicated that there are no flights available. 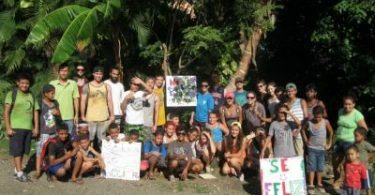 Tamarindo News will be following up on this issue of such importance to the community and to the tourism and economic activities in the area.